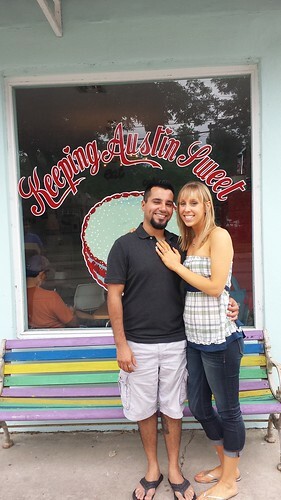 We received sweet news from one of our readers who got engaged at Sugar Mama's Bakeshop in Austin. 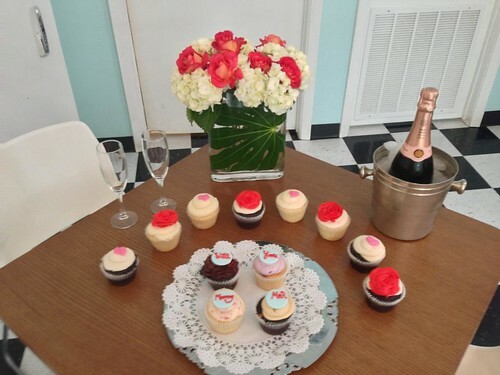 Alyssa's fiance made sure to have my favorite Sugar Mama flavors including a vegan Blueberry Lemonade and the winning Cupcake Wars cupcake the Apocalypse, which is a chocolatey fireball creation. He had "Will You Marry Me?" 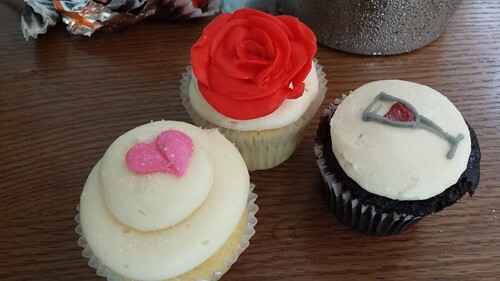 written out on the cupcakes.